I have a story for you in three parts. I have just come to realize that there are three stages that David has stood on that have made his career spectacular. The first was a time that I would remember as a landmark before he left to fulfill his dreams. It was a stage in which 84,000 people in the audiences along with directors, conductors, the Tabernacle Choir, family, friends and fans witnessed the introduction of the most beloved voice. A voice soon to be heard and felt more intently on the American continent and around the world. That stage has a special place in my memory as being the stage that confirmed to him who he could be, and it was one of the proudest moments that I would ever remember. Months went by, and then one day I realized stage two delivered itself in the song “Crazy,” an amazing story of someone who had stepped back and taken a long, methodical look at the oftentimes controversial world of music. The lyrics of the song and the emotions that were introduced for the first time are telltale that the story is about him. 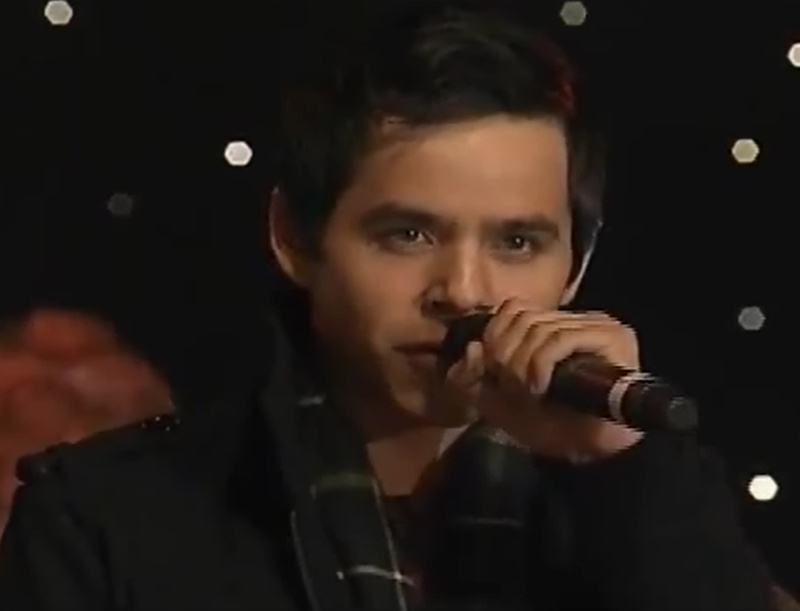 The crowd was anxious for David to sing to them the night of the Idol After Party. While he was preparing to sing, “Alright, let it go!” was called out excitedly by a fellow in the audience and captured on video. The song “Crazy” is the most divulging of songs bearing the brunt of emotions that enabled him to sing it so magnificently. This may very well be his ultimate song that became a turning point. The words with his expressions, tell us everything that we wanted to know about him months before. So now let me tell you quite possibly the story that unfolded. A simple walk on a California beach with the warm sun on his face and wind at his back could have opened his mind to absolute clarity. It was a time that let him give up everything that was steering him in the direction he did not want to go in and directing him to where his heart wanted to take him. What a wonderful feeling that he must have had to be giving up the concerns that tormented him for so long. The Albatross was gone. The third stage has been empowering for him, with his fears subsiding and shyness all but gone. “Heaven” took us by storm and left us in awe with a bounty of emotions. The songs themselves are a progression by stages: of realizing who he is, of taking command of himself and now, with this final stage, allowing him to perform with absolute perfection. With his hand oftentimes reaching outwards, his grasp extends beyond the audience to touch Heaven itself. From the very first word of the song his spirit soars with full intent. He has scaled a lofty summit toward his goals. You can see it in his eyes. We feel it in our hearts. He comes face to face with the One and everyone, who has loved him and stood beside him, giving him all the trust and courage he has ever wanted or needed. David, from your fans everywhere, bravo and thank you! 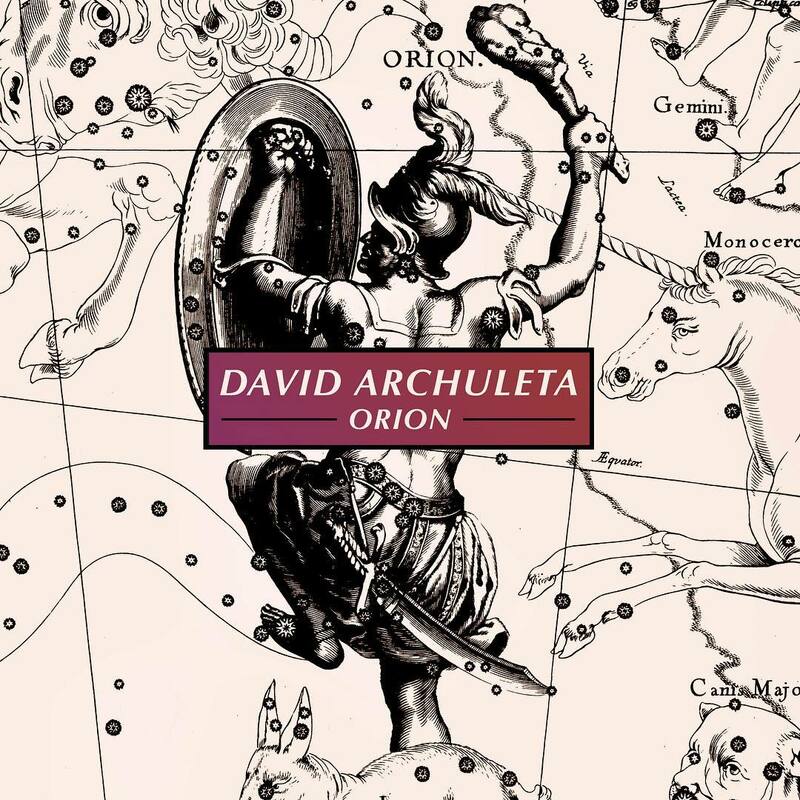 This entry was posted on Monday, August 8, 2011 at 12:38 AM	and is filed under Art, David Archuleta, music, Personal freedom. 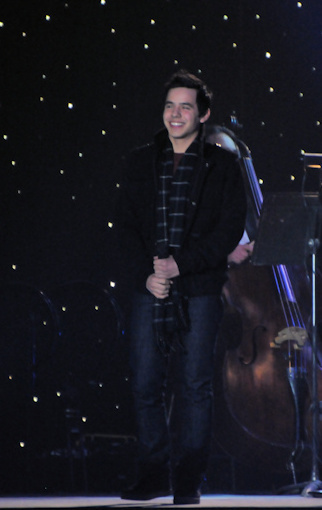 Tagged: David Archuleta, Recollections and Great Expectations, Standing by him, the Voice. You can follow any responses to this entry through the RSS 2.0 feed. You can leave a response, or trackback from your own site. What a beautiful analogy of these three most important breakthroughs in David’s career,SB. While so many are critical of David and his decisions, you are helping us enjoy these wonderful gifts that freedom has given him, that he so willingly shares with us from the bottom of his soul. I savored each of these performances which bring back so many wonderful memories on this journey. I know there are many things about David, I do not know. The only truth I can explain, is to talk about my trip. Gladys, do not worry, someday we will meet. Thanks for the article SandyBeaches only want to write better in English to tell how it has changed my life. Marylee, thank you for your kind comments. I had a tear myself this morning when I opened the site and saw the finishing touches that Angelica had added. Thank you Angelica! Heidijoy, I am hoping that we will have Christmas concerts to attend this winter! We knew that something very special was happening during our visit to Salt Lake City last December. Gladys, su escritura es como un bello poema. Your writing is like a beautiful poem. SB, BRAVO and THANK YOU for your very special, beautifully written words. By the time I got to the third stage, my tears were flowing. “He comes face to face with the ONE and everyone, who has loved him and stood beside him, giving him all the trust and courage he has ever wanted or needed”. WOW, SB, that sentence alone just about sums up the past 3 yrs for me!!! 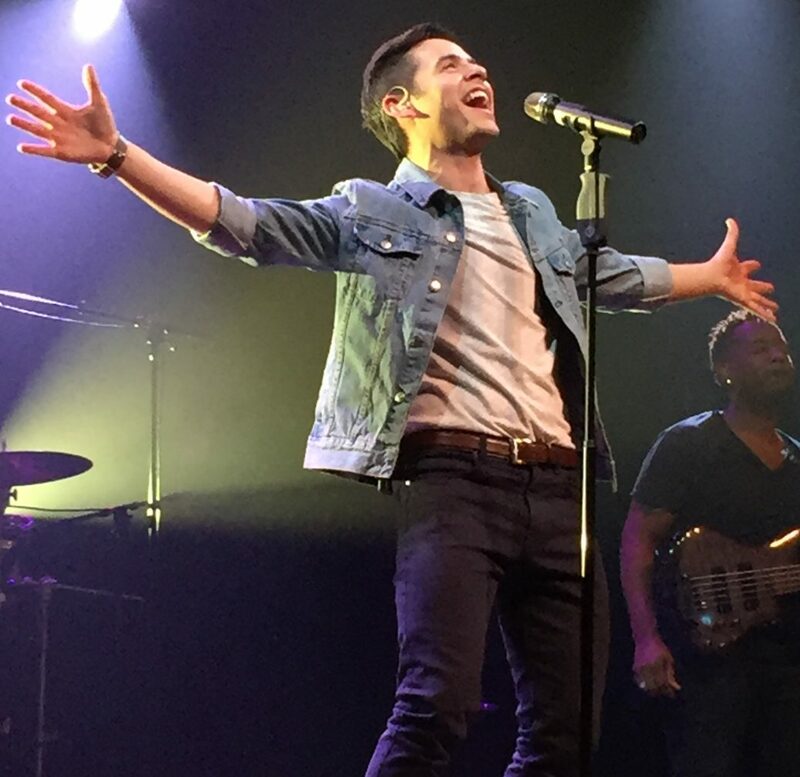 I’ve been wondering about something…..if any of you were listening to the cellcast of the Jakarta concert, when David began to sing “Heaven”, were you taken back to when he sang “Be Still, My Soul” at the Rexburg concert in June last year? For me, it felt like both these songs were ones David HAD to sing and was led to sing by the ONE, to express right then what was in his heart and soul. SB, Thank you for this wonderful article. It is the perfect way to start the week, with tears of joy. Thank you for making me really listen to the words of Crazy. Actually, this whole article was an “AH-HA” moment for me. My mind had been reeling from the videos from Asia and I didn’t quite understand why. It all makes sense to me now. TXNancy, I think you’re correct. David was lead to sing those two songs. He HAD to sing them. So much passion in both. You’re so welcome SB ..my compliments to Angelica as well! Lovely article, SB. You have such a way with words. Now for a ninja duet. Starring David and Julie Ann. What the hay? That dang video just extended across the page. Tx Retired, Yes I was listening to the Cellcast when David sang Heaven! I was moving about doing other things until I heard Heaven and when I did I had to hurry to a chair and soak it in. I didn’t think of Be Still My Soul at that time but now that you mention it,yes a similar feeling. It took my breath away and I thought of HelloGorgeus and how she picked her name when he sang it during Hollywood week. I also refected on David’s Hollywood week and talking about making sure the judges understood it and about having chills afterward. #9 thanks Betsy, hey that is a special surprise! They were having so much fun! SB, this is absolutely beautiful. You are such a gifted writer. You really need to write a book, I tell ya. I am so glad I was able to meet you at the MoTab concert, because I know that everything you write here comes straight from your heart. You are such a special lady and I feel so lucky to have met you and hope to be able to see you many more times on this journey we are on with this young man. I can’t think of any other place I would rather be. Angelica, the pictures and vids added so much to this too. You also have a very special gift. In fact everyone here does, we have to, or we wouldn’t feel so connected to each other and to David. The friends I have made because of him are the most treasured friendships I have ever had in my life. I will cherish them forever and ever. SB, you made me a mush ball today, reading your article. OK, an even bigger mush ball.Thank you. Its beautiful. One of the many sides of David, the,MOTAB stage for me,stands on its own as a life changing event♥for David and his fans. You have sited 3 amazing stage moments,that as I relisten, and watch them again, realize that each song, takes us deeper into the depths and layers, and level of the power, that lies within David, to touch people through music like no one else ever has.Just when you think, what else can he possibly do to top THAT.. he tops that. I believe his growth as an artist is completely linked to his growth as a person. The more he learns about himself, the deeper the music reaches into our hearts and souls. .and he has so many life experiences ahead. I get chills just thinking about it…. From Heaven in Hollywood week to Heaven in Manila and MOTAB and everything else in between! Heaven, help us. Pandasmama…I don’t know if there ever could be another artist quite like David and we are so fortunate to be here and part of it all! Sky…I think that you just wrote a mini article and I like it! I do believe that he thinks we are all crazy maybe a bit like him and that is OK! Hello lovely people. Dear Angelica, Bebereader, and Sandybeaches, I have been away then working, and was not able to comment on your amazing articles. They are each so special and full of love. I am continually impressed with the thought and care that goes into them, and the artistic touches are magnificent. Not only here, but on all of the fansites, the love we share for this supposed stranger comes into focus beautifully. I am honored and blessed every day to know you all, and so grateful that I found David. This fanbase is something extraordinary, with a devotion as limitless as the talent of our beloved. Djafan..Is there any news on the Arizona performance that you can update us with?? Is the length of time he is performing an hour or more now? 😉 I hear that fans have been contacting the organizer and she has perhaps responded! So how many fans are really going to Arizona? I also heard that there are admins. going from different sites so yeah…we are going to have some great recaps and pictures and videos!! So everyone set aside the 17th and 18th of September for the performance reports from Arizona! Hello lovely FG,…summer is a busy time but it seems that much of our time lately is spent watching out for the lightning storms. Perhaps we will see you at Christmas, at least I can put that thought out into the universe! Beautifully said. These words just jumped out at me. Here we are watching his life unfold and it seems to have happened so fast to me that I can only imagine how David has felt these years flash by. What a picture you’ve painted, listen to what he’s been telling us all along through song. Went on a really nice hike up a quiet trail. I need to do that a lot more often. I hope that everyone on the fence about going does go to give David a real welcome home. Djafan, ah it is great to be seeing Shawna soon! Now I remember, isn’t Pattirae also going to be there? The picture is lovely. There I had to think what word to use so I went the route of beautiful, handsome, and sometimes I could say warm but lovely it is. You captured perfectly what many of us actually hadn’t thought of or realized, but after reading your eloquent words, I can see how right you are. The stages you mentioned are so accurate as only YOU could see as a fan so in tune with the artistry of David. You have an amazing insight into his performances. This article, like all your articles, make me think on a deeper level who David is and why we are still here following this amazing man. I look forward to the future with anticipation of the many stages David will no doubt have as his career continues to enfold his way. I also look forward to more of your insights into his future life-changing, important stages he will go through. I hope I’m making sense. I just want you to know how much I enjoy & love reading the articles you write about and for David. SF, indeed three stages are just the beginning and oh how we never knew that he could keep surprising us. 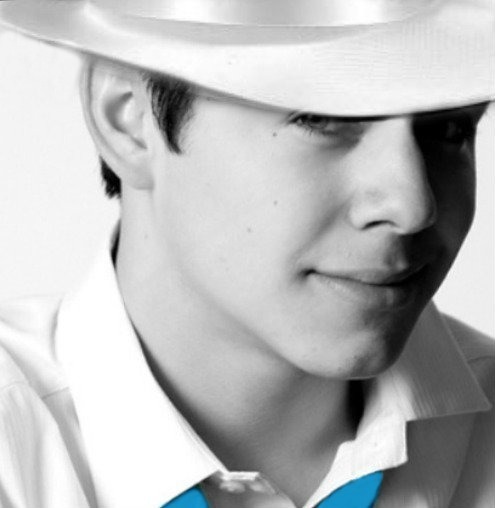 We wait now with anticipation for his performance in a few weeks time and it is up to us to help to make it memorable. I agree with your choice of stages; MoTab, Idol Viewing Party and Heaven in Asia. In one short year David has accomplished so much, despite the split he made with his label. In fact, the split with Jive probably was the catalyst that helped David make these strides. I believe David will persevere whether he’s with a label or not. Hopefully when MoTab is released and the concert is shown on PBS more people will take notice of his magnificence. He is unstoppable! Bebe, not only is his voice wonderful but you can see so much of his personality in his pictures and that is so unique in itself. I would think that professional photographers must have a wonderful time him at the photo shoots. Is he really that photogenic or are they just that good? Sandy Beaches –you have given me three layers of goosebumps–and to be very honest -I don’t even know what to say. David does not want to be and never did, and your article made me realize that even more! He is so much more than that–and for me it’s very hard to describe or put into words what he is…….all I know is that ..if I were stone cold deaf……all I would have to do is watch his face and hand movements while he’s singing and get every bit of the meaning and beauty of a song….he’s just something else……that I can’t wait for the rest of the world to discover. It looks like the Japan appearance has been rescheduled! Kaychan Rocktellme OK, Alient Ant Farm has been rescheduled.They will ROCK! 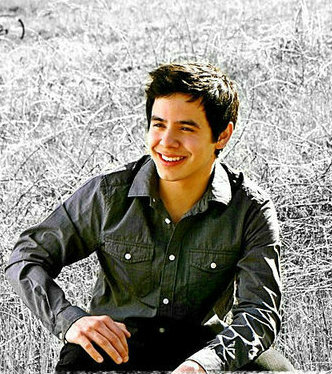 So, how about David Archuleta? Is there any posibility for his performance? 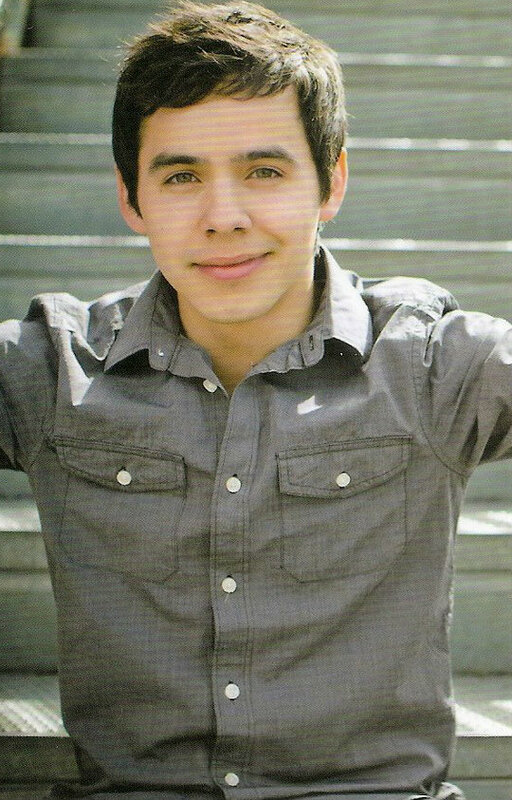 MCCS Okinawa Entertainment David Archuleta and Iyaz will perform at the Foster Festival in October. Oh, thanks for your quick reply:))) Really appreciate! Thanks for giving us a close-up view of the pivotal early stages of David’s development as an artist and his enormous potential. I say early because he is still so young and I firmly believe we have seen only the beginning stages of a great many stages to come. What is yet to come is difficult for me to grasp, as I can see no end to it. He has a seemingly inexhaustible supply of talent, fueled by a power rarer than plutonium: a pure soul. The combination of these two attributes is something seldom seen in such quantities and concentration. Fascinating and once comprehended, hard to look away. Bringing this over from the last thread. Please go leave some love. Could you guys please help to encourage a fellow fan? @LSCtheliverlady had hip replacement surgery the end of July and is still in ICU. She’s had a rough go of it. I’ve started a group card. I would love to give her all the encouragement us Archies can muster! Thanks! I am so madly in love with this. 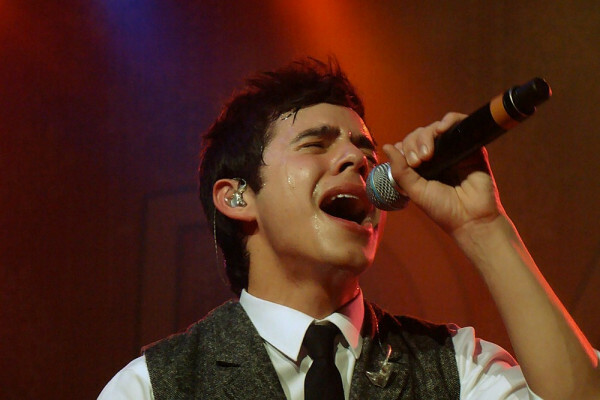 David has sung Crazy and Heaven many times since the Idol auditions. There is something about those songs that brings back the memory of where his mainstream career began. I hope he never stops singing them. Thanks Sandybeaches for this article…you are gifted. Love all the videos and pictures too! Betsy, I came in there to get you out but I got stuck too! Surely you’ve seen this one right? Sandy Beaches, just loved your post. Beautiful, insightful words. His ongoing evolution from that shy boy on the American Idol stage continues to astound me. SB loved your analysis in this article. Very thought provoking. Thankyou! Following David’s career is like reading an exciting and suspenseful novel and I can’t put it down. I become attached to certain characters in the story and when I am done, I feel a little sad as if saying, goodbye. We are so fortunate because this novel of David’s life and career will never end. Even after David’s journey is over, we will still live with the memories and the affects that he had on our lives. Kaycee and Suzy-Q…Everyone who comments has such thought provoking ideas about the journey with David and they are all so very interesting. You can see in the comments why we are all here as the love for his music is so much the same, while distant from the general population of music goers. We still have a mystery that needs unfolding as to why someone so phenominal is not at the top of the music scene, in our culture at least. His time is drawing nearer though…. After being away for a few days, there is so much to catch up on. “I say early because he is still so young and I firmly believe we have seen only the beginning stages of a great many stages to come. What is yet to come is difficult for me to grasp, as I can see no end to it.” << So true. Love that. SB, what beauty in your article. How can the rest of the world not see what this most amazing young man has to offer? Like you stated, it is coming. He will be recognized and put on the stages that matter the very most. How lucky for all of us, to have been with him from the beginning, as he moves forward with a career that will last a lifetime. The vids and pics are…… no words! Sky, the squirrel doesn’t have far to go to find what he or she is looking for!! MT, I will ask someone who might know and get back with the info…unless the ninjas get here first! Fg, I have seen every one, lol. Not kidding. I always go back to his first performance of that song. It’s my favorite. In fact, I was running on 2 hours of sleep when I got up and watched it this morning. Then I was off to work. Just saw a google maps car that takes all the images for the street views of the maps. Cool camera on top. Always wondered how it was done. ah, waiting for someone to come pick up a bookcase, then on to work. off to work, have a nice evening everyone! We will soon have more information from Djafan on the subject! The silence that we get into over and over again because he does not have a PR person or well known management that works with him so that he has future plans by now. It makes me nervous for him and it seems so opposite to everything else that he does himself. With all of those beautiful songs out there, he really should have been part of the TCAwards. It is all in the game that hopefully will change up and become more progressive. He deserves so much more. It isn’t my lack of patience that is making it seem this way. There was just a fabulous tour, but the concerts were not here and this is where the silence is coming from. SB, so in other words, you’re saying that silence is not golden? I agree, in this case it is not. When the kids all leave and take their kids with them after a get-together, that silence is golden. This silence needs to be broken up with the fireworks that Asia had going on!! at the points between 1:40 – 1:45 as he is singing “Stomping The Roses” some fans throw roses on the stage – he smiles and recognized the jesture. What if we had a different flower, teddy bear (or something) to throw (or put on the stage) I don’t want for it to be dangerous for him on the stage for every song he sings. (something in unison) maybe a of different toys that could be donated to hospitals. I agree. We need to come up with something as a fan base to let him know how much we love him, an Archumovement like Steve the percussionist called it in Asia. I hear the silence. Twitter seems to be where most of the noise is right now and when David tweets fireworks go off. Three years ago he was a student in high school and look what he has accomplished in that time. These are the early years of learning and growth for him as an artist, of finding himself and you can’t hurry that. If he were a lesser artist you could, and no harm done but David is far more than that and needs time. Time is on his side and I believe whatever may or may not be holding him back, (debatable) will work in his favor in the end. I know I’m in the minority, but my biggest fear has always been that he would be promoted too aggressively and propelled into fame too soon to allow a slow and steady period of maturation. This is a splendid article, SB. You did a great job! 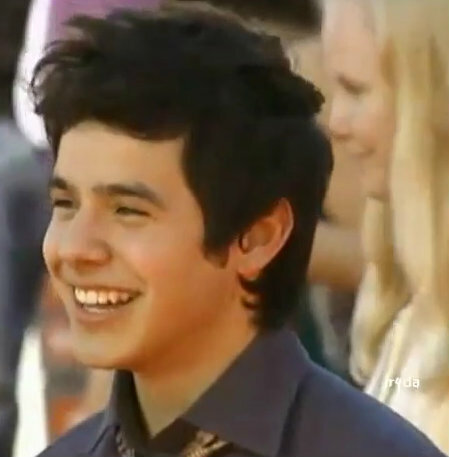 Our David is growing in confidence, maturity…well in every way, and I’m so proud! Been wondering if the bulk of this time before the Christmas tour is going to be more about continuing the exploration of his style, working on creating HIS music….something he has said over and over that he has not had the time to do since AI. I think Angelica said it very well, the growth and maturation in these early years are vital to someone with his singular talent and potential. You just can’t get that being on the road. His next body of work will represent the direction of his music more than anything he has done to date. Remembering an interview before the Asian tour he was talking about some of the writing he had been doing and how he was surprised and excited and at what came out of him….that gets me excited. I would imagine he is very eager to move forward into this next phase of his career. I like the idea of David hiking alone up the trail. Like also that he sees he must do this more. Solitary moments are so important. Good for the soul. I so agree with everything you wrote. I think David needs the time and is willing to give this time to find his path. Most artists have years to make steps and missteps before they are “discovered”. David has to do this under a microscope (though an extremely loving, devoted one for some of us). After all, David isn’t a sparkler. No, no he is not. David is a sunrise. His warmth and light isn’t going anywhere. You both have expressed common sense points. Expecting David to be jumping from one concert to the next is unrealistic. He needs time to grow his garden of creativity. In so many fan encounters we hear ” David when is the next tour? 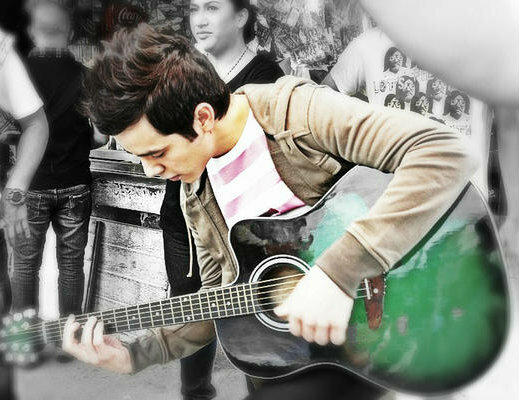 ” He needs time away to write and compose. His tweet about hiking made me smile. It was a good time for reflection and thought. That’s where creativity lives. Unfortunately, wordpress only allows Admins to post images. I ‘ll fix your post when get home later today. Maybe one of the other Admins will get to it before that. Tawna…There is going to be fireworks in Arizona, now if we can just get David and the fireworks time and place to align, that would be perfect. Anyway, this is my reality. I don’t want to see David hurried for any reason, therefore small fairs and concerts all over the map can wait. It is wonderful that he is taking the time to develop his music and creative skills whether it is on a beach or on a hike in the mountains or anywhere that he loves because it is essential. I believe that fan support in this part of the world is also essential right now at this very moment in time. It is not David’s quiet that I think about it is our quiet, the audience’s quiet not by choice. He did not mind touring Asia in fact he was loving it beyond any expectations as we all saw. He was a man loving the stage, loving his fans, loving the chances to sing. I believe that the situation here in America could be esily changed with a little help (hello Sony). You can take all the time in the world, but sometimes this time we talk about does not wait for any man. David should just have to think about writing and singing but I believe that he has more. I’m in agreement to those that are supporting David to take the time he needs. I also can identify with fans who get impatient for selfish reasons. I definitely am proud of David decisions and hope he has time to go back to Nashville to explore who he wants to work with. I think these opportunities in Asia have been wonderful and I’m happy for those that will see David in Arizona. Hi to Heidijoy, I hope that no one ever thinks that I am in a hurry for concerts because I have followed David too long to not understand him by now. I know that is supposed to be Monday, but have a good Wednesday. Hi SB, I know you understand David and are one of his biggest supporters! I’m craving a Vlog right now and realize the extent of my addiction after my Internet connection failed yesterday and I ended up talking to 5 different people @ my service office because they told me know one could come out until Aug 17th. It turned out to be several hours instead because it was a problem they needed to fix in the whole area. I was so relieved and a little embarassed. @Qibahms Good night to that side of the world! good morning. how’s your heart today? @AFineFrenzy Woah I tweeted something like what you said right after you did unintentionally haha. Yours has a deeper impact though. 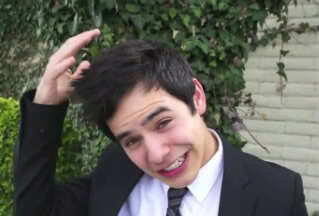 @DavidArchie haha how funny! you’re the sweetest. in answer to your question, i’m quite well 🙂 and how is your heart? And twitter erupted with these tweets!!!!!!! The quiet I was talking about was the fans, the US media, google alerts, etc… I think it’s our or my job to keep his name out there, create buzz, anything to let it be known that David is here and not going anywhere, David himself has stated this on many interviews. Voting on polls, tweeting and including his name in your tweets, I tweeted Cee Lo David’s sound check of Crazy yesterday and so did a few others, anything I can think of to keep his name out there. I don’t expect everyone to do this, this is part of my ODD I guess that’s how I deal with it lol. I appreciate your efforts DJAfan!! I see you out there supporting David. I don’t tweet but read twitter. What do you think about letting David know we are doing well this morning but would be even better if we saw a Vlog. David has gained close to 80,000 twitter followers since just prior to SOF. Every little bit helps! Oh and I play David’s youtube videos on repeat to increase the views. I take turns on different ones lol Right now it’s SBL to get him to 10,000,000 views, others on twitter are doing this also. On August 4th at 11:00pm the view count was at 8,980,631 it’s now at 9,085,004, that’s 104,373 views in 6 days. All you do is add “repeat” to the url after youtube to any video. #67 Abrra, I wish I had your patience. I understand and agree with you however the thing that irks me the most is that right now, in the US, David is a one-hit wonder. I know that there are several artists that will never be on the radio, and they make a living just fine, but I never wanted that for him. All I ever wanted was for him to be on the radio again after Crush. But then again I don’t want him to be a huge superstar. I just want him to be able to sing. He seems happy so I am happy but if I had my way, he’d get a song onto the radio here in the US somehow. SB#55 I understand what you mean. It’s the lack of buzz that is starting up again because 1) there’s only one concert coming up that we know of and 2) the epic Asia tour was not in this country. We have awesome videos to watch but we don’t have the actual memories because we, in the U.S. were not there. Unless David has a terrific PR person working for him, it seems that it’s up to the fans to create some buzz. 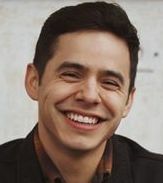 We are an extremely supportive fanbase and we’ll have David’s back forever but besides djafan’s ideas, we need more concrete suggestions from his Official Site outlining what it is that we can do to help create buzz for him. We have the incentive, we have the time, we just need to know what more we can do. I take my lead from what David, himself says about where he is going and how he wants to get there. He told us that he was unhappy with the direction that Jive was taking him. He wants to start a new foundation for his career. To find his own musical sound by writing with people who share his vision. He has a band that he hand picked. His OS now reflects him better than any previous web site ever has. Taking TOSOD and making it better than what Jive released was pure genius! There is the feeling of professional polish now in how things are done. It began with MOTAB. I think he knew then that he was done with the old way of doing business. Since then, he is showing us how he wants to proceed. Good music takes time. He was a one hit wonder . That was then. This is now. I often re read COS to look for answers when situations arise concerning David’s career. I try not to think about what I want for him, but what he wants for himself. If you read the chapter called “Staying True” he explains his outlook on fame and success. 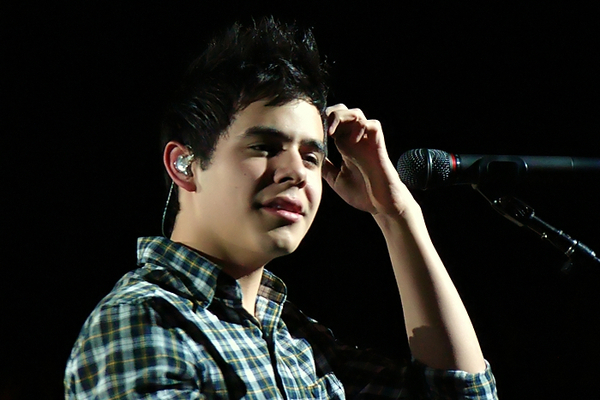 There is much to be said for the phrase “Trust The Archuleta” I always have. It has not let me down yet. We are not let down ever, we just don’t want him to be let down. It is not us we think about because he gives us plenty, but he doesn’t receive plenty back. Hey Bebe and Djafan, I know how much you keep on top of twitter and how you constantly search for the news. Then right away when you have something you bring it to light for everyone and that has to take the place of a PR person who would be making sure that announcements and news are right out there. I think he knows that he has fans who are doing much more than listening and being entertained. I think he said it best when he said…”You are all here”. Although not everyone was, he knows who people are. Emmegirl…”His next body of work will represent the direction of his music more than anything he has done to date.” That is so true and exciting! Another present from David, or so it seems! I believe that alot of people in the USA Does not know a great singer when they hear one! They are so used to listening to the so called singing out there.They dont know what to think when a great singer like David comes along! Hopefully they will chang there mind and start listening to David. After all there is no one like David. Bebe, I’m all for concrete ideas. SB, “You are all here” I get the chills just remembering that. Here is the thread for Arizona if anyone wants to make a comment or ask a question. They’re really good about replying. FG, You “think” you miss him??? lol We miss the heck out of David. How can you not miss this? Be safe during that lightning storm! Great idea to email David’s OS. I think it’s time we made some noise to let them know that we’re here and are ready and eager to help. Show us how; give us a job to do. Utilize the fansbase to David’s advantage. We have some movers and shakers in this fanbase; hopefully we can make things happen! Lord have mercy on my fragile heart! I meant to share what I asked the official site earlier but I had to rush off. I suggested that they design and post an official flyer or pdf file that we could all print off and also post electronically to get the word out about the holiday tour. I let them know how many casual fans we have met while in line for shows that had no idea that David was in town. We know that advertising by tv or radio or print ad is very costly, but luckily for David, love is free and I’m sure we could post flyers around each of our towns. Some of us did this for the Ann arbor show, and you may have seen the Chicago archies video where they placed cards around a mall. I hope for a reply. I will be suggesting that the flyer have the dates listed, and maybe there could be a drop down menu to print by state so the date would be bigger on each flyer. If anyone has other ideas please let me know. I’ll let you know if I hear back from the OS. FG…You had a good number of great ideas. I am certain that you have given them lots to think about and work with. Scroll back, scroll back to picture #87…what formation, he looks like he is going to break out into some fantastic dance moves any minute now…The pictures have such wonderful clarity, thanks dja. Gotta go again, the pups need their bedtime snack so they say! Sorry, SB sweetie, dahlink, but only live performances can be posted, not songs ripped by someone from his Asia CD and uploaded to YT for free downloads. There was even a link under the video to download the song. I agree though wholeheartedly, that Wait could easily be a great radio hit. My personal fave now on the ATE is Notice Me. I think it’s the way he sings, “I don’t want it back.” He doesn’t pronounce it as I but, “auh don’t won’t it back, auh don’t want it back” Best I can do with the spelling of that word the way he sings it. Kills. me. every. time. Bebe–#88—“I think it’s time we made some noise to let them know that we’re here and are ready and eager to help. Show us how; give us a job to do. ” I would gladly do any job–unfortunately I live in the boonies. I can try my very best to learn how to tweet tho. I’m hoping that with the airing of MOTAB –(when that is I don’t know) with all the thousands that watch that every year–there will be hundreds of inquiries about him on You-Tube and his official site. So I hope his site has a lot of up to date videos ( good ones–with good sound and filming). Abs should send them a few–she has a good ear and eye for them. He doesn’t just sing Christmas songs people! Also, we can hone up our ninja skills at making sure his Xmas album has a prominent place on the racks—it’ll be here before you know it–they are usually out even before Halloween gets here..Personally I’d like to see a new cover on it 😉 Whoever picked the original pic that’s on it–should be –well there are no words! I like what you said—It made me smile too–I could almost picture him taking a rest under a tree–looking at nature. Then just to give me something to worry about–I read in the paper today an article about how snake bites are way above normal in Utah this year ( on hiking trails and such). EGAD David —pay attention. Drives ya crazy doesn’t it? Take care y’all! One more look at the photos in #88. What a pleasant sight to go to sleep on. Also. Thanks to Janey on Twitter for this find. She’s right. CUTEST BLOG EVER. Great comments tonight as I’m catching up and all because of the this wonderful young man. Would love to see a new cover on the CFTH on shelves this year too. Something more in sync with the MOTAB-nearly-21yr-old artist touring this Christmas than the 17-yr-old from AI. Relieved to know someone else is d.y.i.n.g. on those I’s or auh’s, or whatEVER they are in Notice Me. I thought it was just me, thought I was going a little crazy, playing that one syllable over and over and over and over…and then over again. The first one hits me the hardest, then the second, and I am there – you know where it is, you’ve been there. He does it with one syllable. I just want to share this post in TDC by JR – http://www.thedavidchronicles.com/2011/08/the-other-side-of-up/. Sadly, it speaks of some not so good happenings in our side of the world. It has caused me a lot of stress in the last several weeks. I actually wrote a blog about it and how it affected me but I’ll keep it to myself for now. Luckily I had left the front door unlocked for some odd reason and was able to get in. Since then I had keys made and hid them in the yard. Let us know when you get to work so we know you are ok? I hope hubby gets there before the rain does. 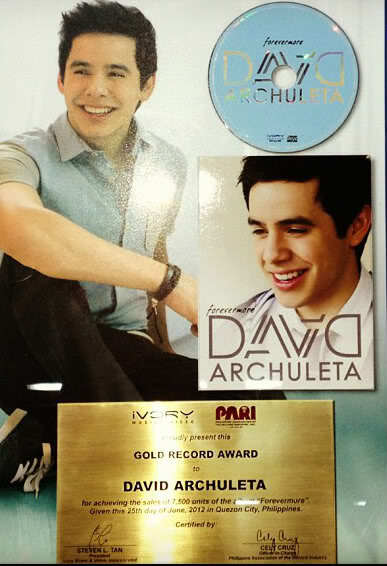 The prize this week for the most active PR fan person for David Archuleta goes to…Djafan! Just a quick stop here, ArchieThailand post a vid. on youtube on “saidstopped channel” and on their fb. 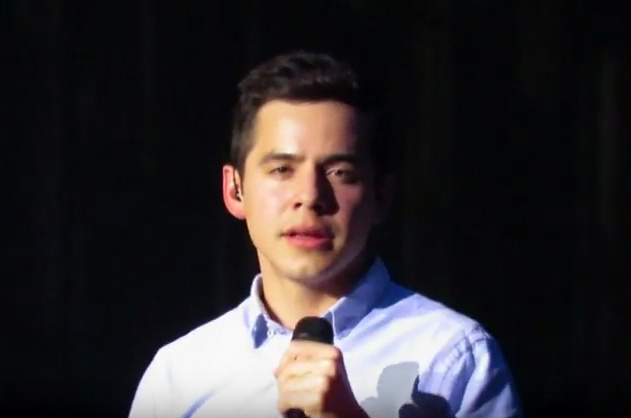 “archiethailand” during their skype session with David back in July, nice and fun vid. they teach David how to say “I love you” in Thai too he did a pretty good job!!!! Sorry I don’t know how to bring the vid here and I tried to send to The voice email but I don’t think it get through 😦 check it out guy. Thanks. Angelica,hate it when that happens! Abrra,. I am still looking for my ‘hidden’ house key. Dja, and Bebe, thanks for the beautiful pics at 87 and 88.ahhh He is just glorious! Asia is done, and now we can look forward to Arizona, then Japan.then MOTAB and winter tour!! Success! I made it to work. The wind blew so hard it rocked my car but no rain. After it passed, I stealthily managed to find an unlocked window six feet off the ground but because of a steep incline the closest I could get to it was 3 feet away. So after getting it open, I fell forward through thorny (ouch) flowering quince and nimbly/couph launched myself inside. I will be getting a spare key to hide somewhere for just such an occasion in the future, I promise you. There was a brief encounter with a doggy door that was a total fail as 1/8 of the way in, I got stuck. Visions of paramedics putting videos of me on YT caused me to abandon this plan and working with a renewed will, I managed to dislodge myself. Thank you for getting my point. In the end, it’s what David wants that matters. It’s up to each fan to decide if they want to hang on through the “creative” breaks he must take. I await the time when he delivers his prize songs to a label. That will be the most exciting time for me to see if he has chosen a company that believes in him as much as we do. #108 Angelica…Will there be a video of that out tonight? Huh? Really there must have been a ninja in the bushes! A vid. will surely appear in a few days! If I said to set it to music it would be improper! Well most importantly you are safe and at your destination! My fortune for a picture of Angelica “stuck” in that doggie door! Abrra, I was going to ask you what you might have for a pic. to go with Angelica’s event but thought, what could you have? That’s my answer! David tweeting charity and meetings!!!!! Happy #MiracleTreatDay! Don’t forget to visit @DairyQueen and buy a Blizzard to help a child in need, and support your @CMNHospitals! Off to a meeting for today. Listening to some James Taylor. and remember Kina from San Diego? She tweeted David. 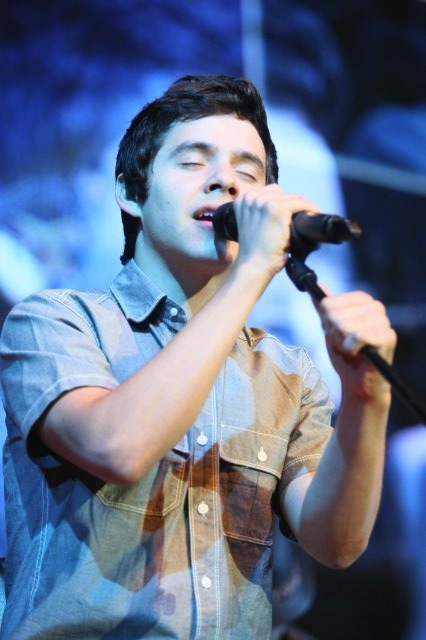 @DavidArchie mmm. james taylor makes everything better. Hi LCT!!! Thank you so much, some would say I have an illness lol But you and everyone here at least gets it. I see you all over too 🙂 So thank you! Emmegirl, Oh yes a new cover for CFTH! Please leave that suggestion on the David’s OS!!!! We all can! Sky, still looking for the hidden key, hahahahaha Sounds like meeee! Abrra leave it to you to get us a visual lol. EEEEK! Dja,Don’t DO that! Holy cow! If he was looking straight ahead,at the camera, I would be dead right now. Make sure to go here and vote 5 stars for the single of the day. Leave a comment! Please put in your one vote if you haven’t already! David dropped to 2nd. SB #92 — Love Wait — I play it over and over and that’s what should be happening on the radio, over and over. Angelica — Notice Me — love this song too and, yes the ‘auh’ is a killer…. but, but, how about the ending — there’s almost a cry or sob in his voice — brings a tear every time I listen. Djafan #114 — that pic, oh my — well, David’s smiling face is always gorgeous but his face in repose is absolutely breathtaking! Canada Post delivered my copy of Pamela Pike’s book today — very slim volume but I can’t wait to settle down and read it. I did flip through and happened to stop at the Sunny Hilden interview — simply lovely — she’s been such a long-time good friend to David. I’m sure all the others who have been interviewed will have equally fine comments — how could they not? #114 Dja, WHO LOOKS LIKE THAT? WHO? Those concentrated eyes. There oughta be a warning. Betsy#96 Loved that blog about the show in Malaysia! Great pics and videos too! I felt her emotions right through screen! Emmegirl#99 Aside from a new cover for CFTH, I’d love to see a Volume 2 one day! Sooo many Christmas songs out there and I’d love to hear David cover them all. Lorms#100 I hope things get better soon! Pocoelsy#106 Those two videos were so cool! 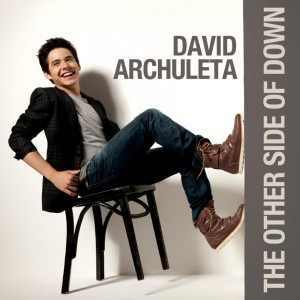 David revealed his favorite singers… and differentiated between singer and artist. Natasha Bedingfield, Michael Jackson, Mariah Carey, Whitney Houston, StevieWonder are his favorite singers! I loved the interaction he had with his Thai fans on Skype! Thank you for sharing with us. Angelica#108 Glad you’re okay now. Close call! Art#120 If only there was a Dairy Queen around here! I wonder which songs David was listening to by James Taylor? You’ve Got A Friend? Shower The People? It’s all good. steno, after listening to the new ATE songs for a couple of weeks they all have stolen my heart…that voice has stolen my heart, all over again. Sounds different, not just older, different. Can’t pinpoint it. Listening to TOSOD ATE and the tour videos I have been given a renewed appreciation for his voice and his incredible, incredible, incredible talents. How could I have ever taken that for granted, even just a smidgeon? His gifts are to be cherished, and I am so grateful for the reminder. I came across this read as posted on SnowAngelz, from Archuleta Avenue Malysia by Trace. I enjoyed it so much that I thought I would bring it to you in part…a link may have been given but I tend to miss links! – John Keats from his poem Ode On A Grecian Urn. 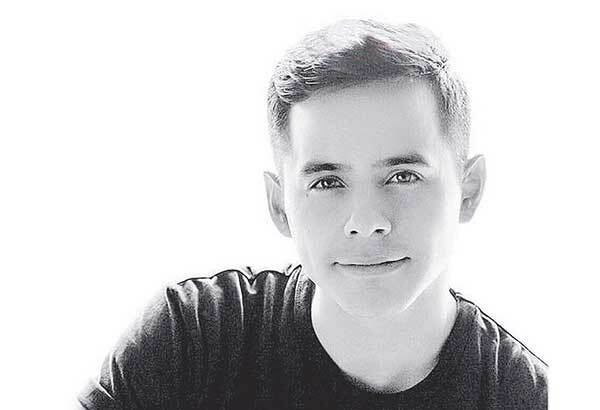 “David, in all his glory:his voice…his musical genius…his values…his oh-my-God pengsan-friendly good looks….is undeniably a “thing” of beauty….. This is what we do as a human race….be it the young…the not-so-young…male or female…. SB #125, I checked out that link and I gotta say, even though there have been many times I have been wondered what the heck I’m doing following a singer David’s age, after reading that blog, I feel so much better and actually feel vindicated! It was very funny and so very true! Archiethailand choose David’s song “good place” to celebrate and dedicate this song to all the mothers out there inconjunction with “mother’s day” in Thailand, Today is the Queen’s birthday, Thai people consider her as “mother” for all the Thais… so that’s why today is “mother’s day” in Thailand. They post on their FB. they love the song, David’s songs are always appropriate for such an occasion, inspiring to the max, love love. Pocoelsy…”Happy Mother’s Day” to everyone in Thailand, although I know that the day of celebration may soon be at a close. David seems to have a song for every special occasion, maybe two! 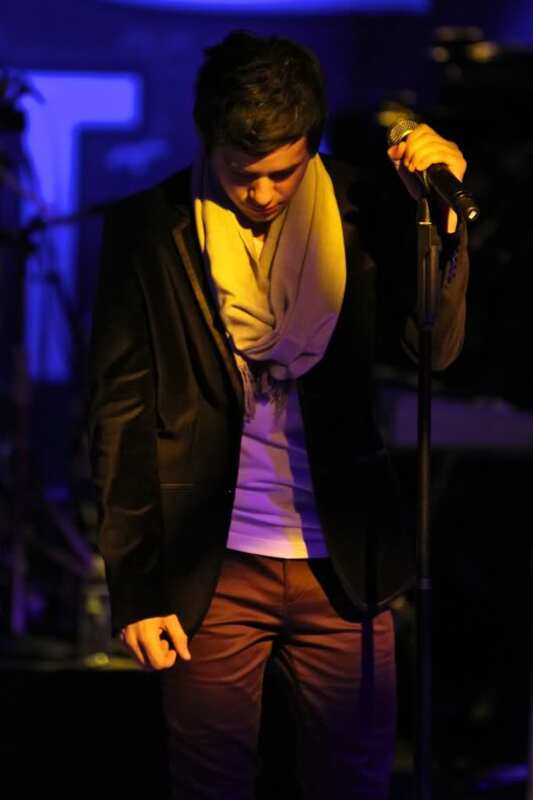 He has such a wonderful repetoire of songs! 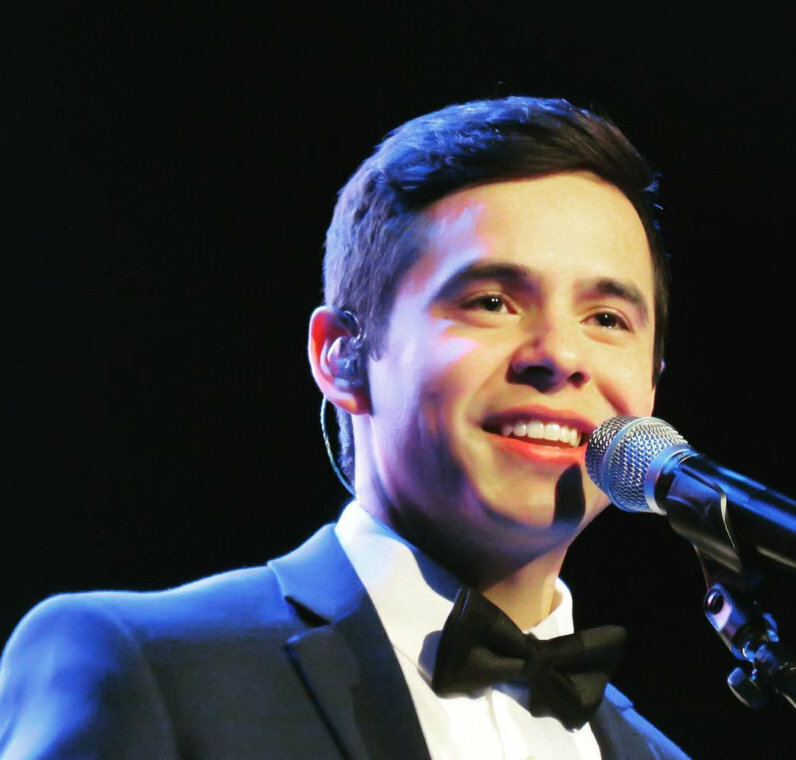 I am getting excited to see what Djafan has been putting together in regards to David’s next performance in Gilbert, Arizona. So fans stay tuned in this weekend! I am sharing Sandybeaches smile. HI everyone! 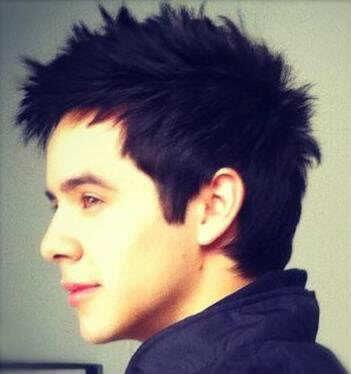 I think we ought to very respectfully and kindly request David to sing at the Alma Awards.. what do you think? Djafan is confirming some details for a very special post coming very soon! But, I tried and would love to vote for David but couldn’t. No beans spilled Abrra, but so far this will be the biggest PR for Gilbert, Arizona…well I am just guessing and exaggerating possibly. Lots of double consonants. SB; May I add to everyone’s admiration for your beautiful and insightful post? One that captures such memorable highlights along this emotional journey that bonds us to David. How moving it has been to witness the gift that he generously shares and through it all, no matter whatever challenges he has faced, David remains the unwavering genuine person that makes him so remarkable and very special indeed! I’m with all of you in trusting and supporting David. Since I didn’t become a fan until later, I can’t recount how many late nights of being captivated by so many You Tube videos, blogs and fansites, trying to make up for what I’ve missed out on. Honestly, if it weren’t for the dedication and devotion of David’s fans in sharing their videos, encounters and experiences, I don’t know if I would have “gotten” him, become a fan and be here today commenting on this site. To maintain this site with such respect, joy and commitment on behalf of David is no doubt time consuming, admirable and greatly appreciated. Djafan; I add to #98 LCT’s applauding of not only your dedication and tireless efforts but done with such grace, respect and eloquence that David is so deserving of … so a resounding thank you for all that you do! I am looking forward to hearing what’s in store for Arizona. I take it that you are going? FG; #89 … What a great idea! When I see what the Asian fans did on their own to get David back to perform in their country, to fanatically promote and support him, it’s inspiring and shows how powerful his fanbase can be when united in a cause. So I’m with Tanya, we’ll follow and you guys tell us what to do. Abrra; #134 … You are killing me. Sigh … don’t know when I’ll get my computer back but will keep trying to covertly sneak in on my hubby’s computer when I can. Okay, gotta go now. Sorry for being so longwinded. Went to the Pageant of the Masters down in Laguna Beach with some friends last night. Munkfod! Yes, if you can register please do and shoot them an email. David in Espanol. Happy Mother’s Day in Thailand! So this is a job we can do. Let’s make some noise! Let’s email the Alma Awards people and see if we can get David to perform at the show this year. Dja and Bebe. eeek! ray is right no play fair.I feel my scrollaphobia returning. 139 is a killer. dang! all scruffy. If David ever really grows a full mustache, or beard and covers that gorgeous face of his I I will protest loudly! haha Don’t want to ever see him cover up that beautiful skin on that gorgeous face of his. Nor those lips! 140 another feast for the eyes. Speaking of eyes, I have that picture of David looking into the camera, and those around him blurred as my desktop background. Made it big to cover the whole screen. Well, if I move to the left, his eyes follow me, move to the right his eyes follow me. It’s craaaaazaaaay! (I mean it try it out.) Tried to get him to follow me out of the room but that doesn’t work. HA! ok, gonna e-mail ALMA they wouldn’t let me register and I got frustrated. I’d love to hop in my little cute sports car convertible (stick shift) in Sept. and hit the road to see David!! OK don’t actually have a cute little sports car, convertible…but I do want to go! This is in reference to picture #2 comment #139…The Five O’Clock Shadow…or nearly one. Beard regrowth that darkens a man’s features late in the day, following a morning shave. In the 1980s, designer stubble became fashionable, based largely on the popularity and ‘coolness’ of stars like Don Johnson and, before him, Clint Eastwood’s ‘Man with no name’ character. This was quite an achievement as, prior to then, a swarthy and unshaven appearance was considered to be reserved for ruffians…of course there is more history that goes back as far as the 1930’s but I will stop with the ruffian talk!! SB, You are so funny! When I saw that shadow, I thought of how our young boy is growing up before our eyes. Times have changed since Regis admired his skin and wondered if he shaved then. ha! I think he said only if he needed too but now I think it’s close to needing a daily ritual. …….or maybe he likes a little stubble. He’s gorgeous either way. From one Auntie to another. You have done nice job moderating. Still enjoy the article and all the fun. Nice to be at a site that is respectful, positive and supportive. dja, your driving fast and taking chances posting that! Wow, what a crazy two weeks I’ve had. It’s so nice to finally have time to come to my favorite fan site and catch up on all things David. At least I’ve been getting his tweets. 🙂 Am I the only one who gets butterflies when his text messages come in? I can’t help it. They just make my days seem a little brighter. SB, love your post. You put so much thought into it. I love all that you said and would have to agree on each of those momentous stages. He is so growing in front of our eyes and isn’t it wonderful to be a part of. I’ve had so many people, who know I love David, come up and tell me about the concert on Sept. 17th as if I haven’t heard yet. Phfffft! Yeah right! I’m just counting the days and also spreading the word to get more people who haven’t heard him in concert yet get off their fannies and get out to the Civic Center. I have a feeling that it is going to be jam packed and I can’t wait. Today in Gilbert is one of the coolest days we’ve had with a high of 103. I hope the 17th will be a cooler day for everyone coming to the concert. It’s normal to still be quite warm at night during the time he will be performing. Can’t wait for your post on the happening here in Gilbert. If there is anything I can do on this end, let me know. Bebe, the guy can hunker down in his Christmas carols, in his pop songs and in his soul music. He can hunker down anywhere, any time. What a guy…Oh, plaid shirt pictures #3 and #4, so grand. Bebe, These pictures are fabulous.That smile just melts me into a little puddle of goo.I’m done. The wait is over, this Monday I start to process my passport. Then I start with my visa and then ……………………. DAVID. bebe, thanks for the email link for the Alma Awards. 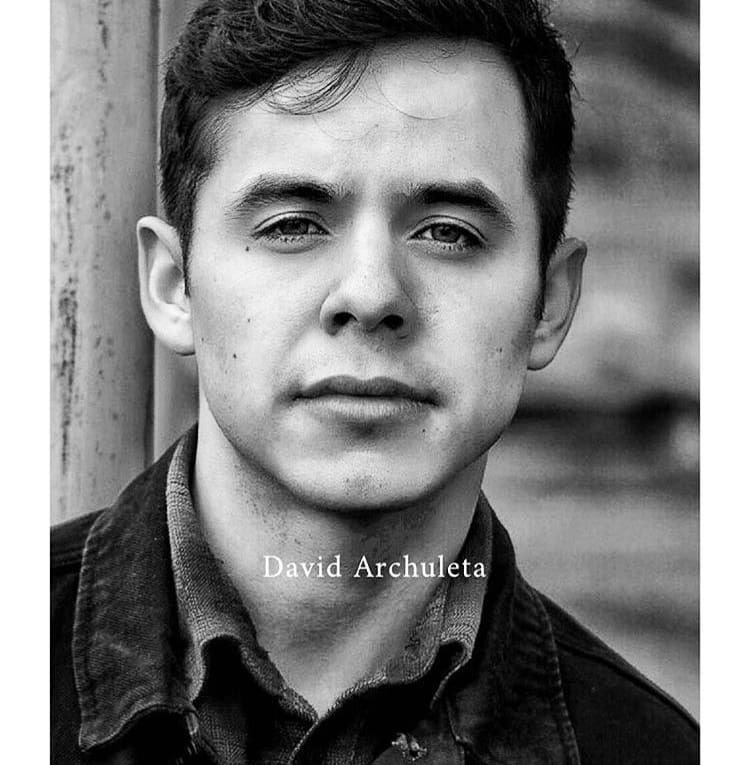 Fired off my email requesting another Spanish performance from David Archuleta. Gladys, does that mean what I think it means…you are Arizona bound!!??? Arizona, I could not be reached by the paperwork, plus it’s hard to enter the United States, but if David is going to mexico, I want to be prepared.